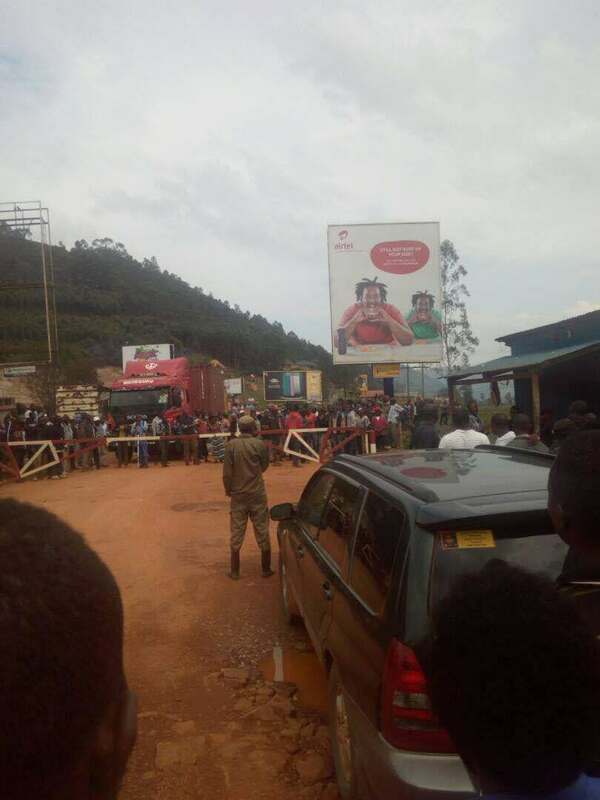 Business came to a standstill in Katuna, Uganda – Rwanda border, on Thursday after traders staged a peaceful demonstration protesting Rwanda’s arrest of Justus Tweyongyeire, 50, alias Mwanamuto. Ms Christain Mpiriirwe the wife to Tweyongyeire and his son, Tubenamukama said he was arrested on Saturday by the Rwandan security officers at Katuna as he returned from Kigali where he had gone to buy U.S. dollars for his forex exchange business. Mpiriirwe said the Rwandan authorities have not given them the reason for her husband’s arrest. The Mayor for Katuna town council, Nelson Nshangabasheija has also accused Rwandan authorities of harassing Ugandan traders. 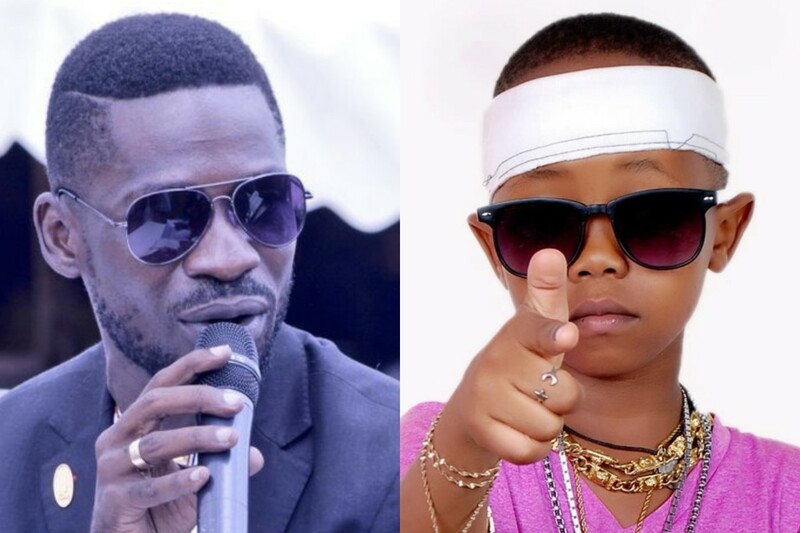 Uganda’s High Commission in Rwanda confirmed that the Ugandan money changer was held in Rwanda Kigali Police cell. 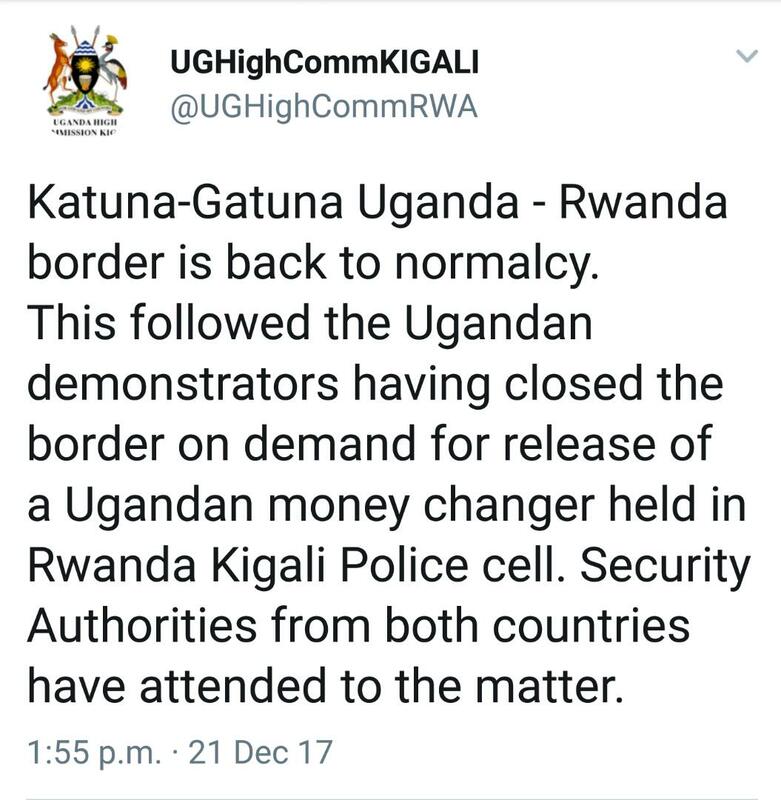 In a tweet, the High Commission in Kigali said that the situation at the Katuna-Gatuna Uganda – Rwanda border is back to normalcy after Ugandan demonstrators closed the border demanding for release of the money changer. During the demonstration, residents carried placards that displayed messages condemning the frequent arrests of their business colleagues. 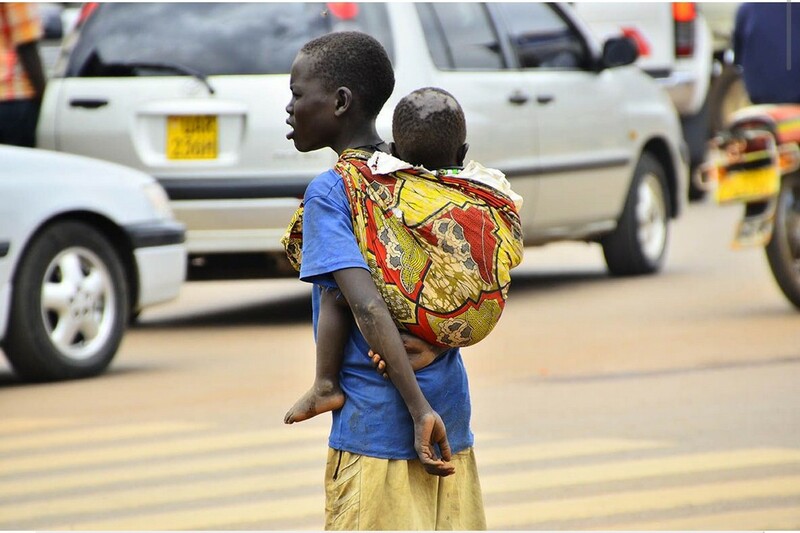 They blocked the road with poles and stones before Uganda police led by the officer in charge of Katuna border station, Zadoki Kajere, intervened. Ugandans revealed during the protest that three years ago, two businessmen, Everest Akandinda and Dickson Tinyinondi were murdered in Rwanda. 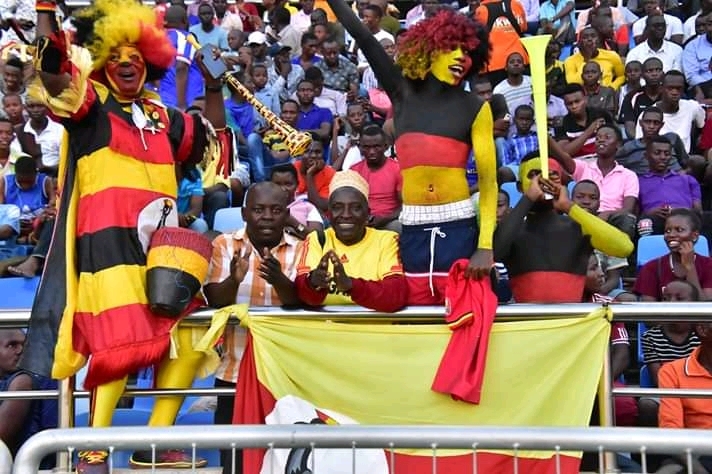 “Security Authorities from both countries have attended to the matter,” the Uganda’s High Commission said in a statement. 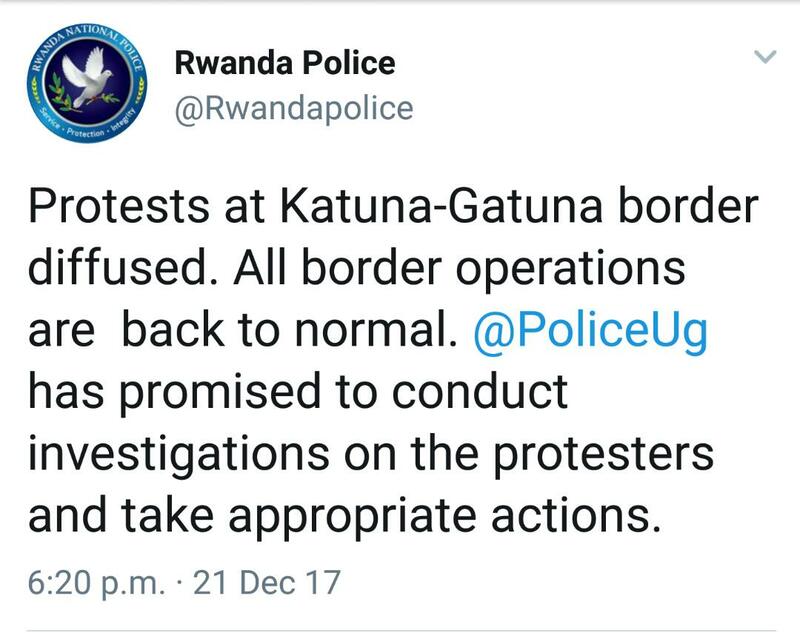 “Protests at Katuna-Gatuna border diffused. All border operations are back to normal. 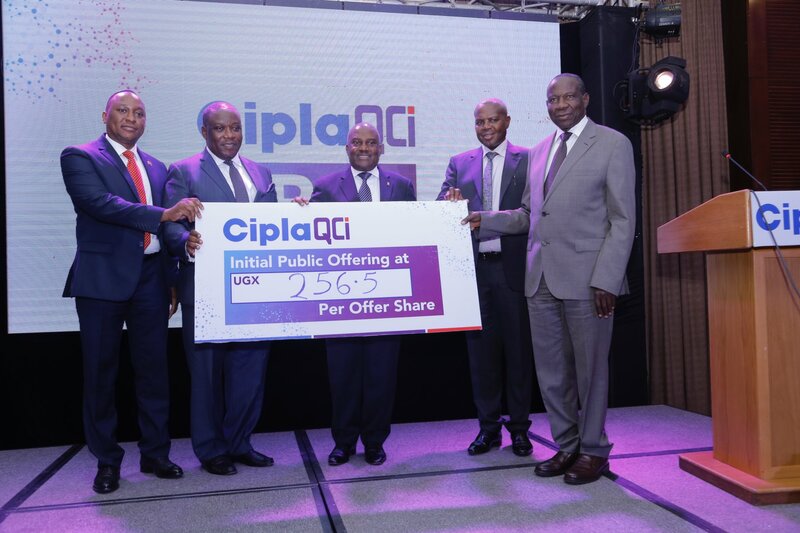 Uganda Police has promised to conduct investigations into the protest and take appropriate action,” Rwanda National Police said in a tweet. Tweyongyeire has been working as a money changer at Katuna border town for more than 30 years.